Zetsche: "Diesel is worth fighting for." Daimler is conducting a thorough investigation into allegations of diesel cheating as the automaker seeks to burnish the technology’s battered reputation amid an onslaught of negative news for an industry reeling from scandals. The maker of Mercedes-Benz cars is keen to shore up diesel, which powers many of its lucrative SUVs and big sedans as well as its trucks, vans and buses. Daimler is counting on diesel while it invests in lowering the price and increasing the range of battery-powered cars to meet increasingly tough environmental regulations. Daimler said a week ago that it will recall more than 3 million diesel autos to upgrade exhaust-system software and will book the 220 million euros ($256 million) in costs in the third quarter. German authorities have been scrutinizing the carmaker for possible emissions cheating involving two engines used by Mercedes, and Daimler also is the subject of a U.S. probe into allegedly excessive diesel emissions. "We are convinced, like the rest of the carmaking industry, that we are headed toward electric mobility," Zetsche said. "Until that happens, further reductions in CO2 will be achieved through combustion engines, and here the diesel will play a significant role." Zetsche was reluctant to comment on allegations of collusion with BMW and Volkswagen Group beyond bemoaning the string of bad news hitting the industry. 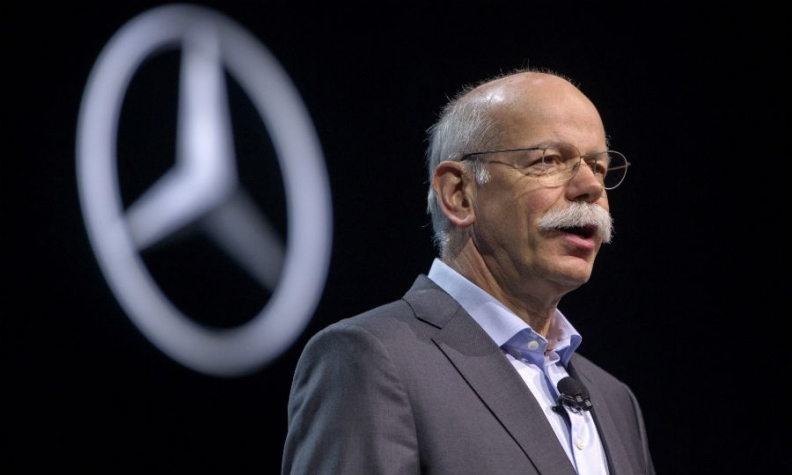 "The car industry is currently causing headlines, and they’re not good ones,” said Zetsche on a conference call with reporters. "I know a lot of people want more clarity now, but we can’t comment on speculation." EU regulators are looking at whether decades of technology talks among German auto manufacturers constitute an antitrust violation. The allegations opened another set of challenges, which also include the threat of diesel driving bans, industrywide recalls rooted in Volkswagen Group's emissions-cheating scandal and heavy investment burdens to develop self-driving electric vehicles. European automakers' fight for diesel goes beyond holding on to a tried-and-tested technology. Until consumers finally buy electric vehicles, manufacturers need diesel as it generates about a fifth less greenhouse gases than comparable gasoline engines. Otherwise, the companies won’t meet Europe’s tightening emissions standards, and face paying fines as of the start of the next decade. Diesel powers about half of the cars sold in Europe every year thanks to taxes that make the fuel cheaper at the pump, but the fuel has been increasingly under attack since VW admitted to duping regulators over emissions levels in September 2015. The UK is adding to the urgency by moving to ban sales of diesel and gasoline cars by 2040 to combat air pollution, joining a similar plan in France.